We will provide independent expert reports and ensure your home is being built to code. Building a brand new home is a really exciting but often stressful time. You rely on your builder to get things right,but we all know things can and do get missed making the whole process stressful and inconvenient. This is where a staged building inspection can help. 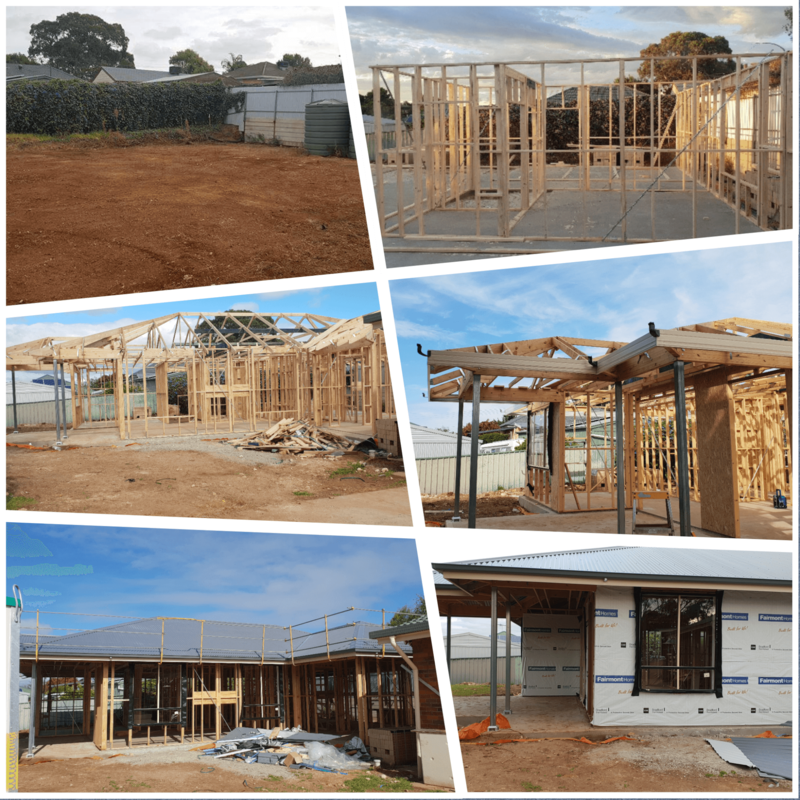 As expert inspectors with years of experience, we are up to date with all the latest building regulations, we’ll ensure everything is being built to comply with the relevant Australian Standards and building codes. We’ll keep your builder fully accountable before any stage payments are made. Regardless of whether you are an owner builder or have engaged a small local builder, a boutique builder or large national builder, it’s always advisable to get a second opinion as things can and do go wrong. When you pick up a problem in its early stages it can often be easily fixed, however as the building progresses, some issues are not so easy to rectify,and other more costly solutions may be required. We’re here to make sure that we identify any minor issues before they develop into a significant problem further into the build. Our staged inspections have picked up countless problems at the stage where they can be corrected saving the home buyer the stress and hassle of arguing with the builder or having to make unwanted compromises in order to solve a problem. Most building companies employ a site supervisor to manage and oversee the individual trades that they sub-contract to help build your home. However, as licensed trades in their own right, each contractor can sign off on the quality of their own work. This is then meant to be double checked by the supervisor to ensure all is going to plan. However, when the pressure on the contractors escalates and supervisors are looking after multiple projects on tight deadlines things may get missed, corners may get cut or jobs may get rushed which can lead to problems. As independent site inspectors, we are here to make sure that that does not happen. We’ll keep all the trades and your builder fully accountable and check all the critical stages of your build for compliance and workmanship. While we advise you have a complete staged building inspection, we are happy to step in at any stage of your build if you need a second opinion or if you don’t think things are quite right. When building a new home, you are often out of your comfort zone and outside your area of expertise. Builders ask you to sign off on plans and drawings that you don’t fully comprehend and you just have to hope you’ve chosen a reputable builder, but that’s when an independent building inspection can help. Our staged building inspections cover the four critical stages of your construction and we’ll double check that things are precisely to plan and compliant with the latest building codes. You’ll get a thorough report at the end of each inspection,and where necessary we’ll talk through any issues directly with your builder. Your footings form the foundation of your home so its vital that this is correct. We’ll check your footings before the slab is poured to ensure that they have been positioned correctly on the site, they have the proper reinforcements and form work,and any termite protection is in place around pipe penetrations. The framing of your house gives it its strength and stability, so we’ll be checking the framing layouts, truss layouts, strapping and bracing. The strapping and bracing ensure the durability and integrity of your wall frames and roof structure. All timber framing will be checked for full compliance with Australian Standard AS1684 which includes checking that the walls are straight and do not overhang the concrete slab. The wet areas are a critical component of the home and we’ll be checking that any wet areas and balconies are suitably waterproofed and have the correct run off gradients to allow for easy drainage. As water damage and leakage can cause major structural issues down the line, we’ll be ensuring that internal wet areas are fully compliant with Australian Standards AS3740 and any balconies are compliant with Australian Standard AS4654. This is one of the last chances you’ll have to highlight any issues in your home. We’ll be there to run through a complete checklist to ensure you don’t pay until its perfect. Our final inspection is thorough and covers areas inside and outside the home. We’ll be looking closely at the paint finishes, sanitary installations, cabinetry, floor coverings, fascia’sand eves, gutters and down pipes, tiles and grouting, cornices, ceilings, architraves and skirting’s to name but a few. But what you can be assured of is that we’ll be inspecting your home like we were buying it for ourselves.